Ham and Bean Soup is one of our all-time favorite foods to come home to on a chilly day. 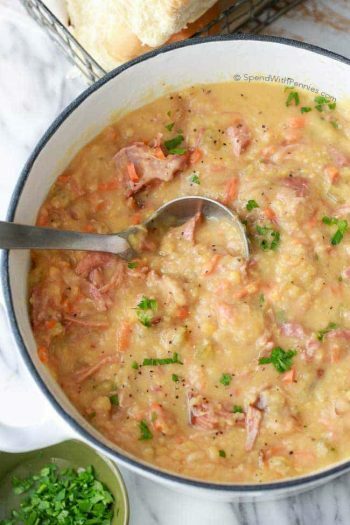 This “no-soaking required” Ham and Bean soup takes just minutes to prepare and cooks effortlessly in your Crock Pot all day long! 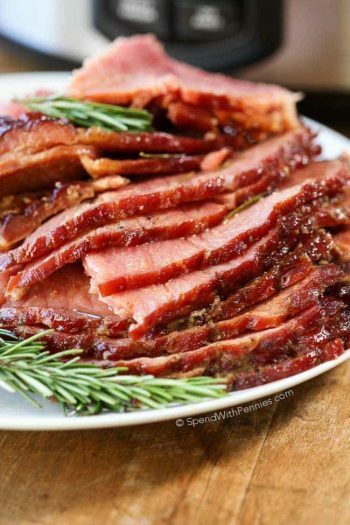 This easy recipe is hearty and delicious, the perfect way to use up any leftover ham and a great way to feed a crowd! I am so excited to have partnered with Hurst’s HamBeens® 15 BEAN SOUP® to bring you this belly-warming recipe. 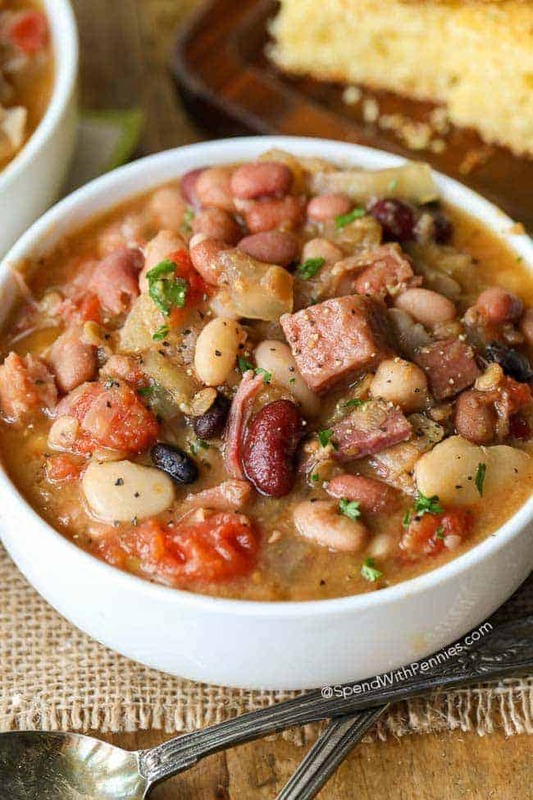 Slow Cooker Ham and Bean soup is the perfect family meal because everyone always loves it; this hearty soup is like a hug in a bowl! Ham and Bean Soup is just one of those comfort foods that warms you from the inside out. 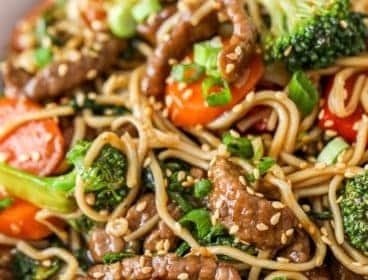 It’s deliciously healthy and loaded with flavor… and using a slow cooker makes it a total cinch. You’ll need just a few minutes of prep time and best of all the beans do not require soaking! This simple soup requires very few ingredients, starting with Hurst’s® HamBeens® 15 Bean Soup®, onions and ham. The slow cooker does all of the work creating the most delicious easy bean soup. Ham and bean soup is the ultimate comfort food and even more so when you have a beautiful mixture of beans! Hurst’s® HamBeens® 15 Bean Soup® is not only my favorite mixture, I know many of you love it too! Hurst’s HamBeens are definitely my go to for quality and flavor and are easily found in the dry bean section of almost any grocery store (or you can order them online). Along with the beans, a seasoning packet is included in each package of 15 Bean Soup making it simple and perfectly seasoned every time! Rinse beans well and check for any debris. 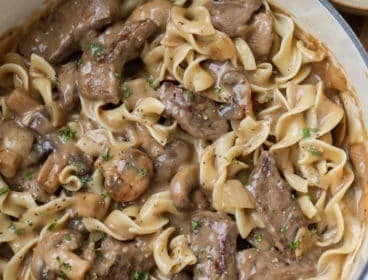 No soaking required when using a slow cooker. If you have already soaked your beans, you can reduce the liquid in the recipe by 1 cup. 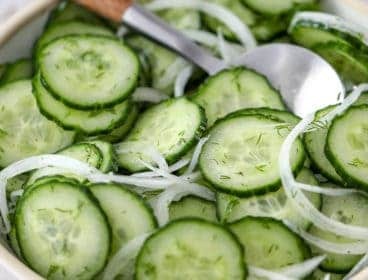 Add acidic ingredients (such as canned tomatoes or lemon juice) after the beans have softened (these ingredients can sometimes interfere with rehydration). Hurst’s 15 Bean Soup comes with a vegetable-based seasoning packet that really takes this recipe to the next level. 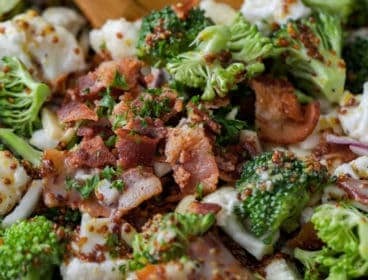 It has great flavor, the perfect amount of seasoning and a hint of smokiness. Adding the seasoning towards the end of cooking gives this soup an amazing flavor boost. 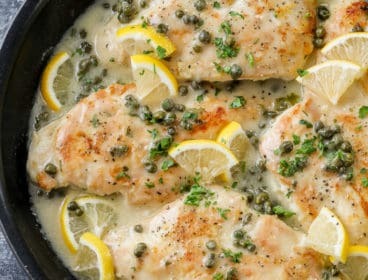 A squeeze of fresh lemon is an easy way to enhance the flavor of the broth. While I use plain tomatoes, you can also use canned tomatoes with chilis to add a little bit of spice or heat to this ham and bean soup! 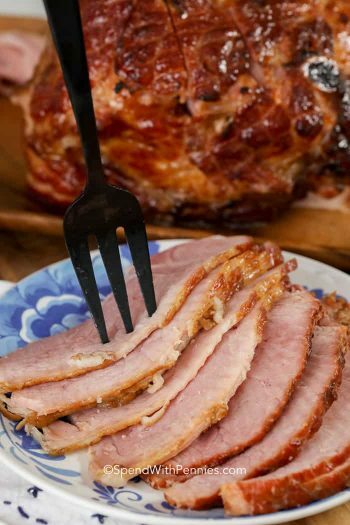 If you happen to have a leftover ham bone from your holiday baked ham, THIS is the recipe you’re going to want to make with it. If you don’t have a ham bone, ask your local butcher or deli for either ham bones (they are usually really inexpensive) or ham hocks. Our deli down the road sells ham hocks for just a few dollars each. 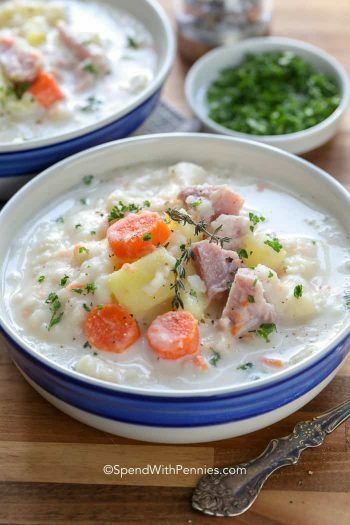 If you don’t have either, leftover chopped ham works beautifully in this recipe too. 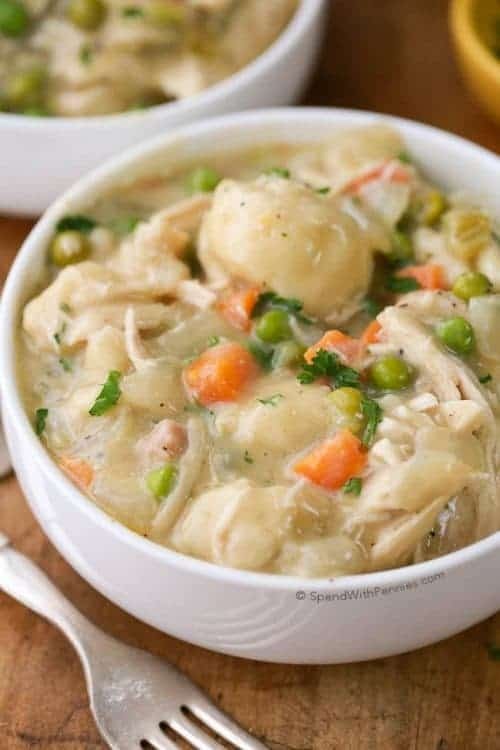 This soup comes out very thick and hearty, just the way we love it! If you prefer a thinner consistency, add one extra cup of broth or water to your slow cooker. If you’d like a thicker bean soup you can remove a cup or so of the beans and blend them and add them back into the soup. You won’t change the flavor this way, just thicken the consistency, the soup will become almost more creamy this way. 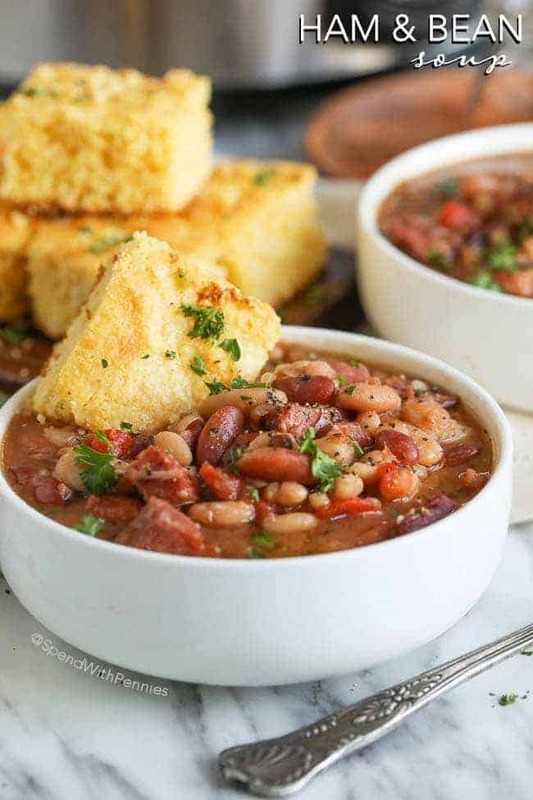 We love this Ham and Bean soup served right out of the Crock Pot with a big piece of moist cornbread but it’s delicious served over rice too! Can You Freeze Ham and Bean Soup? Yes, not only is it easy, but this ham and bean soup recipe makes a huge batch and it freezes beautifully. That means cook once, have two dinners and lunches all week… count me in! We freeze this in individual portions so we can easily grab one for lunches and the smaller portions defrost quicker. 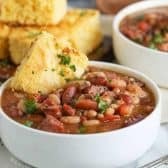 15 Bean Slow Cooker Chili – Game day favorite! 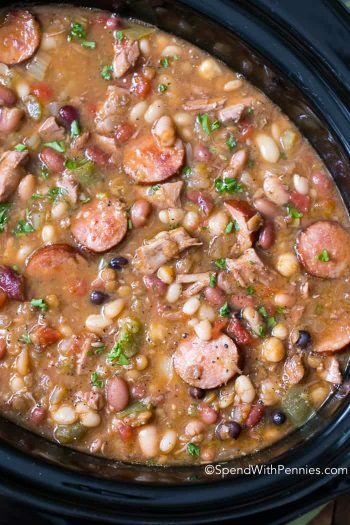 Slow Cooker Turkey Soup (Cajun Bean) – Perfect for Leftovers! 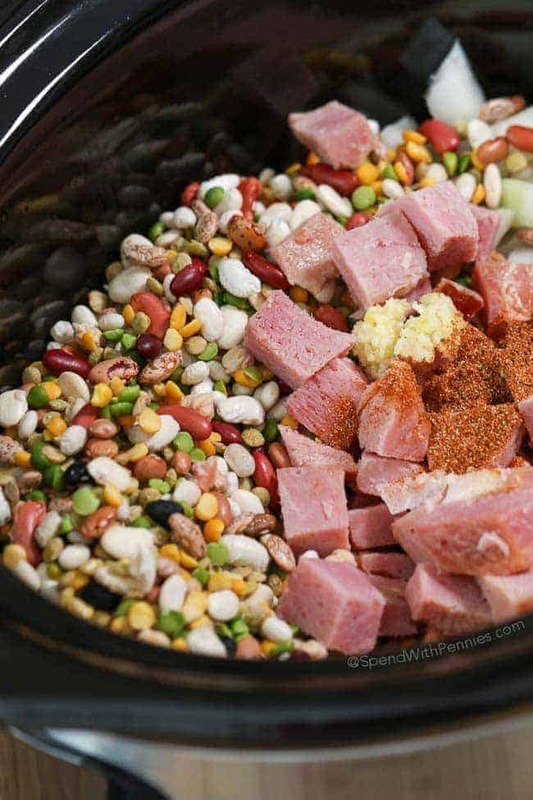 Crock Pot Ham (Video) – Use leftovers for this ham and bean soup! Slow Cooker Butternut Squash Chili – Comfort food! Ham and Bean Soup is one of our all time favorite foods to come home to on a chilly day. 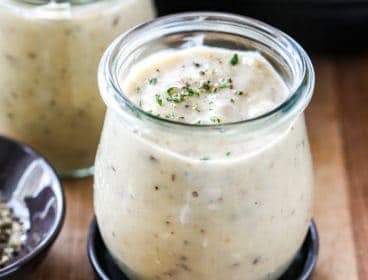 This “no-soaking required” Ham and Bean soup takes just minutes to prepare and cooks effortlessly in your Crock Pot all day long! Dinner is ready when you are! Place beans, onions, ham bone (or diced ham), broth/water, garlic and chili powder in a 6qt slow cooker. Once tender, remove the hambone (if used) and chop any meat left on the bone and add it back to the pot. 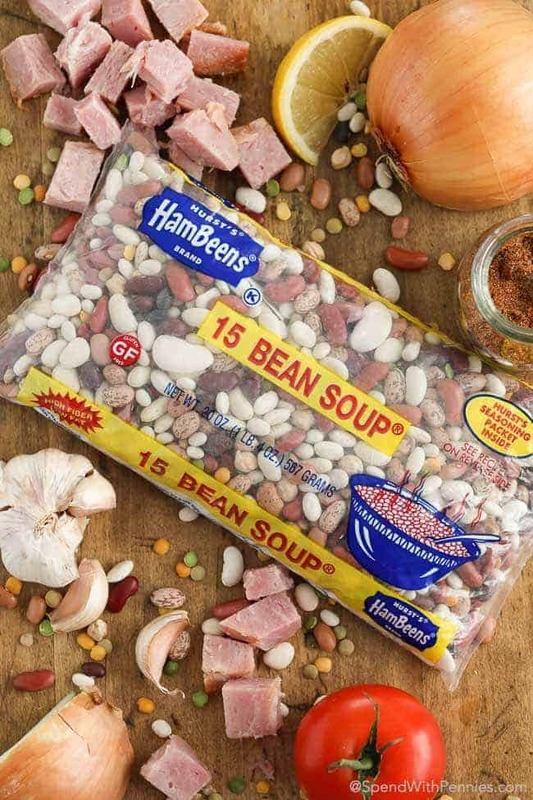 I am excited to have partnered with Hurst’s HamBeens® 15 BEAN SOUP® to bring you this belly warming recipe. While I was compensated for this post, all thoughts and opinions are my own. Working with great brands I love allows me to keep bringing you the great recipes you love!